A point of emphasis in preparing for the multibillion-dollar Uranium Processing Facility at Y-12 is to reduce the inventory of highly enriched uranium in existing production facilities — with a particular focus on removing “material at risk” in the World War II-era 9212 uranium complex. There reportedly has been progress made over the past six months. 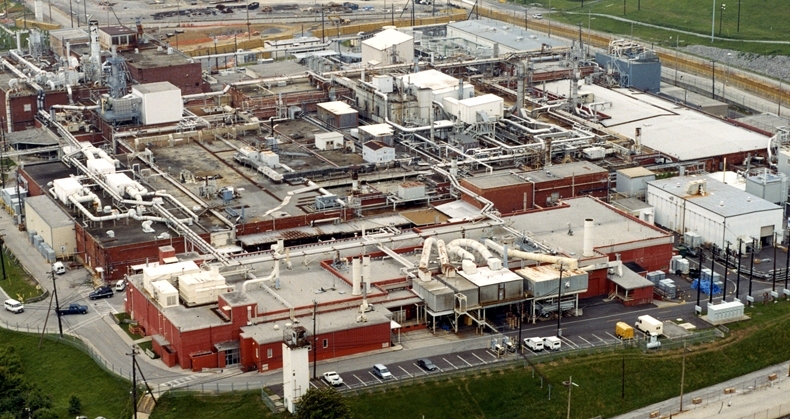 The stated goal is to be out of 9212 no later than 2025, but in the meantime reducing the amount of weapons-grade uranium in the building reportedly can improve the safety of operations. Consolidated Nuclear Security, the government’s managing contractor, last year implemented temporary measures — via a “Standing Order” — to meet the National Nuclear Security Administration request to reduce the enriched uranium in 9212 by 40 percent. More recently, according to staff reports by the Defense Nuclear Facilities Safety Board, these guidelines have been incorporated into the Technical Safety Requirements for the nuclear facility and made part of the Safety Analysis Report. Reducing the amount of weapons-grade uranium in the building reportedly reduces the off-site threat in case of an accident or natural disaster. The DNFSB report said the revised safety assessment at 9212 (based on a 40 percent reduction in material) would result in a 42 percent reduction in off-site radiation dose in the event of an earthquake — one of the postulated events used in safety studies. Earlier this year, there was a temporary standing order that called for an 88 percent reduction in uranium stocks in Building 9215. Asked if CNS also planned to make those changes permanent, Boatner said CNS is “actively pursuing changes” to the safety basis documents for the 9215 complex at Y-12. “A revision is being drafted and should be submitted to NPO in the near future,” she said. Boatner said there currently is no standing order for material reductions at Beta-2E, the plant’s assembly/disassembly center. This entry was posted in CNS, DNFSB, NNSA, nuclear, UPF, Y-12 on July 27, 2015 by Frank Munger.